Read the information here, before making a character. These are the lowest class missions that can be completed and are usually done by Genins. These missions are usually small priority. These are completed mostly by Chuunins but are sometimes done by Genins. These are completed by Jounin rank ninjas. These missions are done by Special Jounin rank ninjas and usually include important tasks including assassinations, escorting important people..etc. These missions are mostly done by ANBU. Rarely done by special jounin...rarely. Once you reach Gennin you get placed in a squad, click here to see info about all squads. Virtual Fighting Arena! Here you can fight in a virtual chamber, with anyone else living in konoha! and the best thing is that NO ONE DIES!!!! Click here and post a topic saying (example) "Me vs. You" , and then you both can start your battle! good luck! Here you can post art for xp! a good way to express what you write, if you choose. !MAKE SURE TO PUT OUR LOGO ON THE PICTURE! Here ppl can posts a request for what they want drawn and our artists can draw it for them. 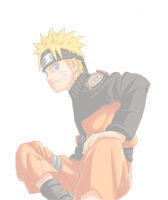 This is talk for naruto! Talk about the classic anime! Like video games? well then this thread is for you!